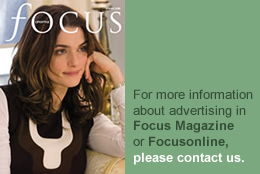 Thursday 10 January 2013 is the opening date for the inaugural Mayfair Antiques & Fine Art Fair, which runs over four days until Sunday 13 January at The London Marriott Hotel Grosvenor Square, London W1K 6JP. The Antiques Dealers Fair Limited, known for organising boutique luxury antiques weekends around England, has chosen this prominent venue in the West End of London for its first foray into the capital city. Highlights on the exhibitors’ stands include a George I burr walnut bureau bookcase, c1710, selling for £45,000 from WR Harvey & Co (Antiques) Ltd from Witney. They are once again in possession of this piece, as it had been housed across the other side of the world for the last 30 years. David Foord-Brown Antiques from Cuckfield is bringing a unique pair of fine English Regency period rosewood and brass inlaid tables exuding quality and style, circa 1820, in the manner of cabinet maker Louis Le Gaigneur, priced at £39,500. One contains four tea caddies whilst the other is a work table with an assortment of fitted compartments and a tray. They too have returned from the USA, having originally come from a prominent gentleman in Philadelphia, via the Philadelphia Museum of Art. Other furniture dealers include Wakelin & Linfield, S&S Timms Antiques, Jeroen Markies Antiques and Nicholas Arkell Antiques. Gazelles of Lyndhurst are bringing Art Deco furniture, design and accessories. Amongst the antique rugs, textiles, kilims, Asian works of art and artefacts from Galerie Arabesque from Stuttgart is a 12th century wooden sculpture of the Japanese monk ‘Sogyo hagiman’, priced at £15,000 and a large Chinese Imari vase, Kangxi dynasty, selling for £7,500. Amongst the fine art at the fair are two very different marine oil paintings brought by Haynes Fine Art of Broadway and Willow Gallery – ‘The Storm’ by Pieter Cornelis Dommerson (1834-1908), dated 1877, is priced around £80,000 from the Willow Gallery. With its raging seas and thunderous clouds it is a complete contrast to the tranquillity of Haynes Fine Art of Broadway’s ‘Idle Sails, Loch Etive in Calm’ by Montague Dawson (1895-1973), priced at £115,000. A further selection of fine art can be found at Cambridge Fine Art, Atelier, Paul Mayhew Fine Art, The Hunt Gallery and Art of the Imagination. ‘Puck – Lutin des Bois’ by Luca Madrassi (1848-1919) is a signed bronze with marble base, c1887, on 19th century specialists Garret & Hurst Sculpture’s stand, priced at £17,875 while Angelika CJ Friebe’s stand includes antiquarian maps, prints and books from 16th to early 20th centuries. 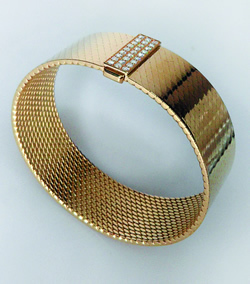 Designer names from the past abound from jewellery specialists Sue Brown, Plaza, Markov, T Robert and Anthea AG Antiques, the latter bringing a glamorous 1960’s Hermès gold bracelet, selling for £7,950 (pictured). 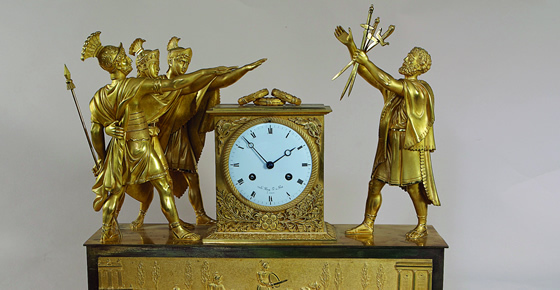 Time pieces are very sought after and the fair includes ‘The Oath of Horati’ a rare French empire ormolu mantel clock, the white enamel dial signed Le Roy, Hgr Du Roi, Paris, c1805, £22,500 from Richard Price & Associates (pictured) and on a smaller scale, a highly decorated silver and enamel miniature Viennese clock, 1870, from T Robert priced in the region of £6,000. There is plenty of silver on offer from JH Bourdon-Smith, Mary Cooke Antiques and Stephen Kalms Antiques. Not everything in the fair has a high price tag and glass specialist Mark J West has an intact blue glass fire extinguisher, complete with its contents, from the 1860s, priced at £168. AD Antiques, specialist in British art pottery is bringing pieces by well known names such as William de Morgan, Martin Brothers, Wedgewood and others. AD Antiques is also showcasing the work of well-known contemporary ceramic designer Heidi Warr, who worked as principle decorator at Dennis Chinaworks; some of her work can be found in the Victoria and Albert Museum.